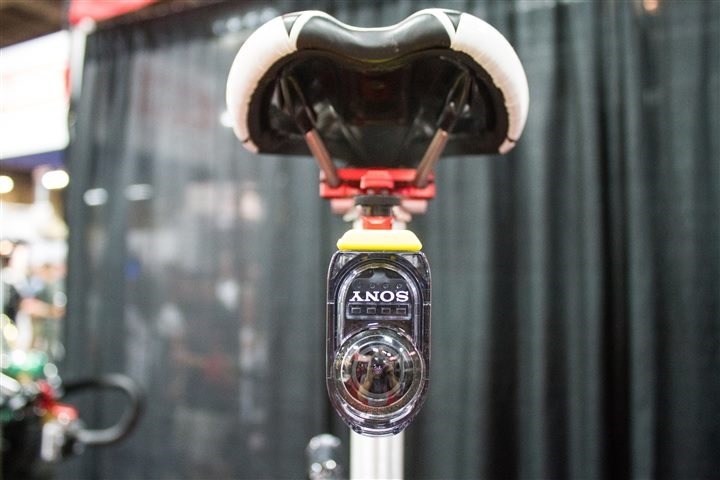 This week at Interbike, K-Edge showed off a number of new mounts that will be hitting the market starting October 7th. While K-Edge has been selling Garmin Edge compatible mounts for a while now, these mounts either update some of those designs a bit, or offer them in new places. 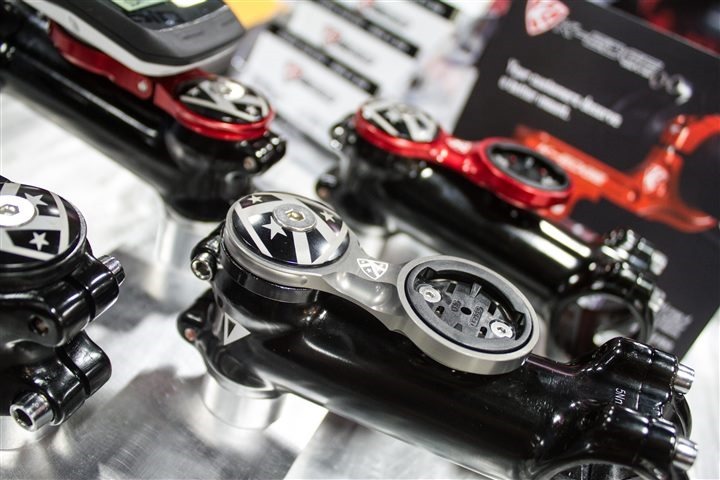 Unlike other mounts on the market, the K-Edge mounts are all CNC machined aluminum, and most can handle upwards of 90 pounds of weight on them (in the event your Garmin Edge unit feasts at the Vegas buffets). That’s about 41kg of weight for you metric folk. First up on the list is the new Garmin-compatible K-Edge Time Trial mount, which actually started shipping three weeks ago and was announced mid-summer. This is notably different than other mounts in that it’s inset into the handlebars (as opposed to being even with the bars). The challenge of course with setting them down into the handlebars is that the Edge quarter-turn mounts requires you to…well…turn it. Given the width that most aerobars are separated by, this is a problem for the larger units. The K-Edge TT mount solves that problem by adding a lever below the Garmin so that the mount ‘turns’, rather than the Garmin turning. Next we’ve got their new Garmin Edge compatible mountain bike mounts. 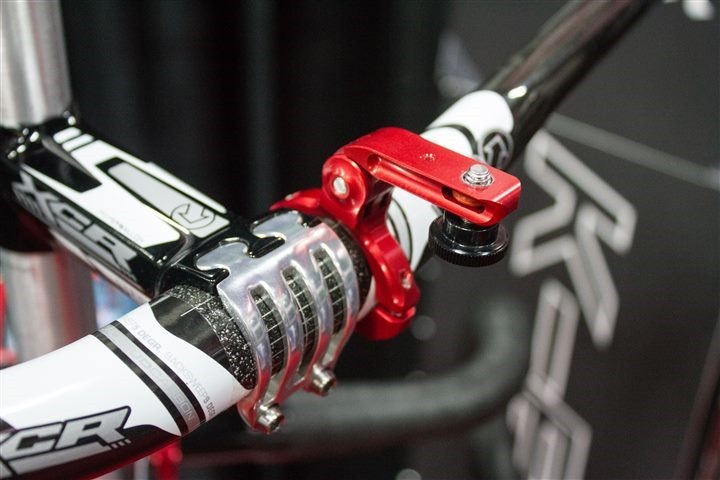 These mounts attach to a 1-1/8th” steerer tube, and then sit on top of the stem. 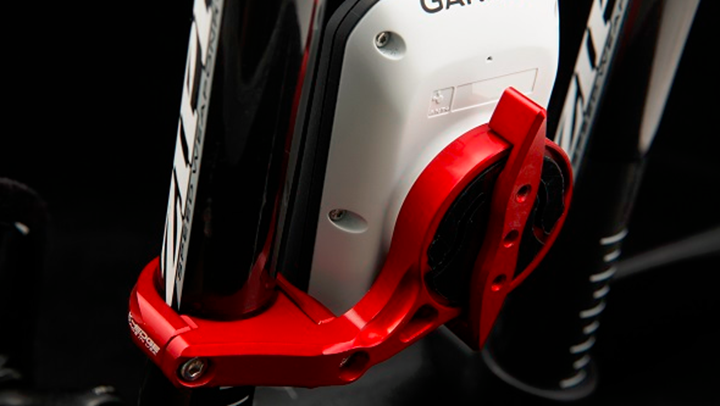 All mounts are aluminum, with a plastic molded connection point for the Garmin unit itself. 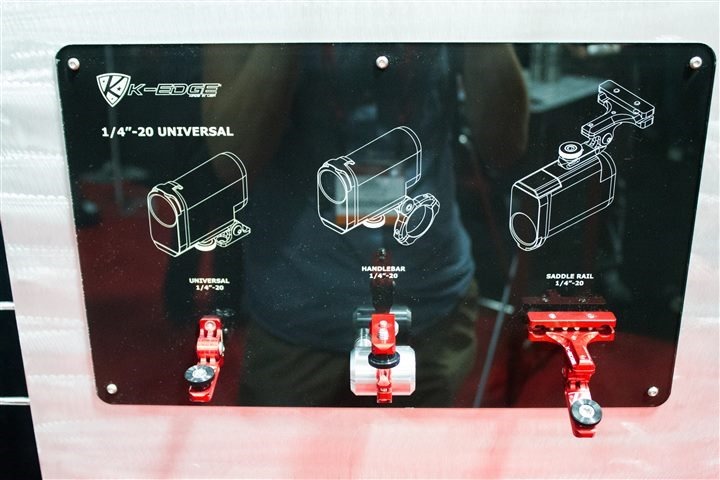 Leaving the bike computers behind, K-Edge is expanding their camera mounting options – adding to their existing GoPro-specific lineup with a more generic tripod compatible option. With this you can attach anything from the new Sony Action Cam (which is really how this lineup came to fruition), as well as any camera with a tripod mount on the bottom (basically every camera on the planet). I even watched someone come by and attach a full DSLR unit to one without any issues. Because K-Edge previously made GoPro compatible mounts, they’re going to be offering two ways of attaching these new more generic mounts. First is an adapter to the GoPro mounts, and then second is with a full-on mount straight onto the handlebar (no adapter required). Thus, here’s the three basic options for attachment. On the left you’ve got a mount for where you screw/bolt the unit to something, then in the middle the handlebar mount, and on the right the saddle rail mount. For the handlebar mount you’ve really got two options though. You can use the ‘out-front’ style mount (seen above), or ‘over the bar’ style mount seen below. As noted, the availability for everything seen in this post is either ‘already available’, or just a touch over two weeks away on October 7th. I’ve got a few of the new mounts with me headed back home to try out (in addition to what I’ve already bought for my upcoming mount roundup post). I’m really looking forward to testing out the new universal mounts though – not only with a few upcoming action cameras, but also even with my DSLR for various product items. Welcome to Interbike week! This week during Interbike 2013 I’ll be tweeting from the exhibition show floor quite a bit, as well as posting frequently. 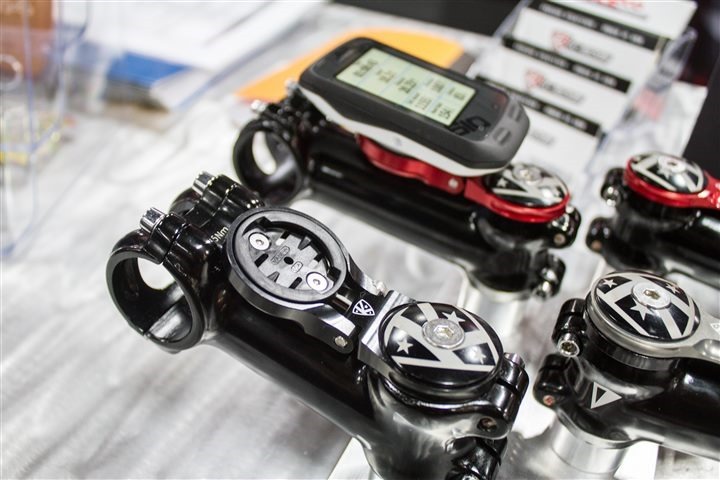 Here’s a quick and handy link to all Interbike-related posts. whwn are they going to be on the market? I’ll be trying them myself here shortly, however, from everything I’ve seen from others, the K-Edge mounts actually reduce vibrations for the GoPro devices because there’s less ‘flex’. Now, when you talk putting an DSLR on anything, that changes things a bit if there’s an ‘arm’ involved. 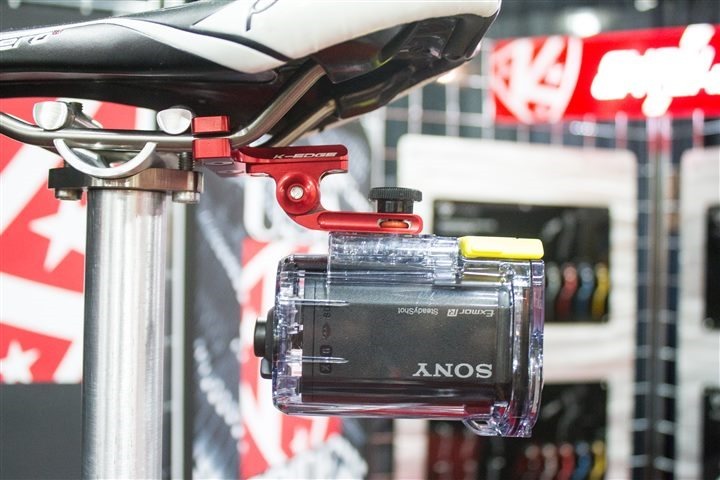 Nice to see K-Edge making mounts with the Sony Action Cam in mind, as it’s not the most cyclist-friendly camera out there. One thing to note is that there is no option to rotate the image 180 degrees in-camera, so when using the saddle mount you’re going to have to flip the video using editing software. Hopefully Sony will release a firmware update to sort this out. That steerer tube mount would be cool on a tt bike if, like me, you run a really short stem and a between the bars hydration system. I was thinking the same thing. 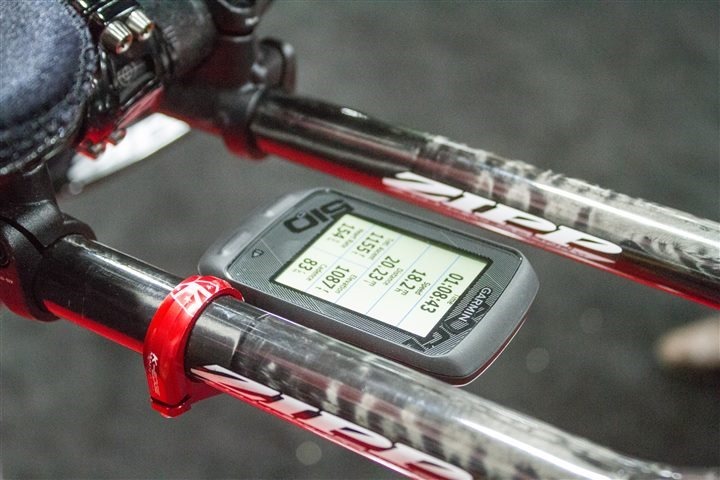 I would like to mount a garmin to the stem of a road bike I plan on using for triathlons. Would this mount work? In this case you could, but it really comes down to bar position and how big ones fingers are. I’m very much looking forward to seeing how this works with a DSLR. Any impressions yet? Have you tried it? $75 dollars and the thing sits below the bars, interrupting the airflow. At what point does this price nonsense stop with this stuff. Why not just charge more then the Garmin itself? It is a piece of aluminum. I just got some really nice mounts made of aluminum for 10-15$ try dx.com tons of options for fraction of the cost. You should add those to your review as well, Im sure they would pay for good review. I don’t take any money from any companies – for good reviews, bad reviews, or even so much as a mention. I don’t quite understand how one could truly review things in that type of business model. Ty for your fantastic job (is it a job ?) so could you tell me where could I find the K-Edge TT in France. I tried to grab it through Amazon…Nothing. This is using the standard Virb handlebar mount with a 90 degree adapter to give the camera a bit more height. You can see in the video that there is a lot of vibration. The k-Edge has been recommended to me but I can’t find any that will fit on the stem, they would all place the camera pointing sideways rather than forwards. 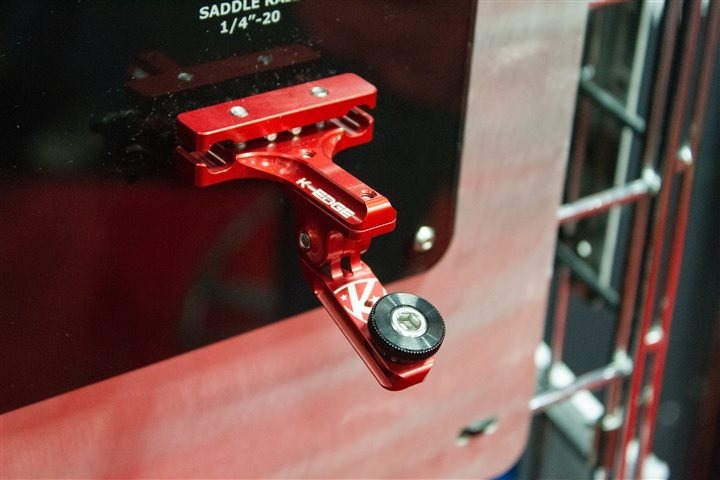 Do you know if K-edge do any mounts like this? I also wonder how well it’ll fit to my stem as it’s not round. it is taller than it is wide so I might have the same issue with a K-edge. Hmm…that’s a tricky one. I’ve long tried to figure out how to get a bit more elevation as well on a camera in a similiar position. I’ve messed with some camera tripod mounts (even DSLR ones! ), but either they are super-bulky and massive (but stable), or super cheap and not-stable with vibrations. After I asked the question a friend on Twitter came back with a useful response. He uses a below handlebar mount but mounted upside down and backwards so that the camera is behind the handlebars. This means that on the video he can see if he is braking and how hard. I have now ordered one of these (using your affiliated link). I think that you will be able to adjust the height by adjusting the angle of the mount on the handlebar. This is of course dependent on the amount of adjustment you have on the angle between the camera and the mount at the other end. I think this will solve my problem anyway. Thanks for the reply. Ahh, very interesting. Is that the same config in the video, or a different config? Any chance of a video link? The only minor issue is that my Virb won’t be centered in the handlebars but will be slightly off to one side. As my friend said, that’s less of an issue with the GoPro as the lens is off center anyway. Its a standar Garmin Virb flat support over Garmin Edge 500 support (glued). I have just ordered a garmin elite and a. K-EDGE GO BIG Pro 1/4-20 Universal Camera Handlebar mount. Do I also need to order a tripod mount or some other adaptor ( other than included in garmin box) to mount to my handle bars? Once you have that you’re golden as you can attach to it just about anything on earth (including the K-Edge). It appears that the most K-Edge mounts aren’t compatible with the 910xt. Is the K-Edge Areo Mount compatible? Is it too big? All K-Edge kits are compatible with the Garmin 910XT Quick Release mount. I have a two sonys 15 and 30 these mounts would be great but were do you buy them and how much . I have a Sony POV. Has anyone tried mounting a Sony Camera upside down on the saddle rail mount? My only concern is that all the grit and mud from the wet muddy trails will end up all over the camera lens/case? I live in the UK and we have wet trails 6 months out of 12. I am experimenting with the Feiyu 3 axis gimbal mount to be attached to my body either through a chest mount or a shoulder mount. The shoulder mount will require a backpack with some form of structural support. for those of you know don’t know what a gimbal is… It is effectively 2 or 3 motors that are synchronized as the 2 or 3 axis of stabilization is ensure that the direction of the camera is always pointed in the direction of interest. It is a form of image or video stabilization. By mounting the camera and gimbal to your body, your body serves as a cushion against the energy being transferred to the camera. The gimbal is likely somewhat overkill but it offers a smooth transition in video as your body moves. 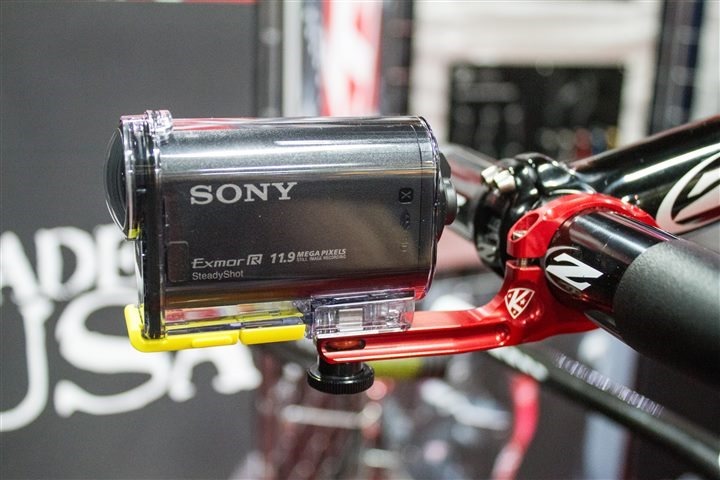 Attaching a camera directly to the frame of a bike is not advisable as all you will ever get is vibrating shifting video even with sony’s proprietary image stabilization system. If you have to affix the camera to your bike frame, then it isn’t worth shooting the video because bad video is unwatchable. Yup, I’ve been using that gimbal for a while, and actually just bought the new mountable version as well. That said, I’d disagree that all bike-frame footage isn’t worth shooting. And YouTube would disagree as well. It just depends on where you mount it, how you mount it, and then the road conditions. In the same way that putting a camera on a helmet is rarely worth doing, it all depends on circumstances. Vibrating oscillating video is unwatchable. Anybody can post on YouTube. That is the beauty of YouTube. I am coming from a photography and videography background. Sure capturing video off the frame is practical but does it make for presentable video? I would say no. Does such video have a place? Yes as b-roll. When you are telling a story through the use of video, distractions such as poor video quality only detract from the video itself. That being said, I am working on an apparatus that will be supported by my sports backpack that will extend both gimbal and camera about a foot off of my shoulder. I plan on also riding with a chest mounted camera with no gimbal as a second perspective. We have an upcoming city and bike league sponsored ride… 100 miles. Looking forward to capturing some great video while I ride from around O’ahu. Btw, love your reviews and content. Oh and btw, I find that over the shoulder video or even video from a camera chest mounted frames the video for a viewer to give them the feeling of being there while you ride. Shooting video from your handle bars or even to the rear from your seat post may offer you some “b roll” shots but it shouldn’t be used as the body of the video you wish to produce. hi ive just purchased a edge hd10 action camera for scuba diving and was wondering if and where i could purchase a hand held mount for it ?